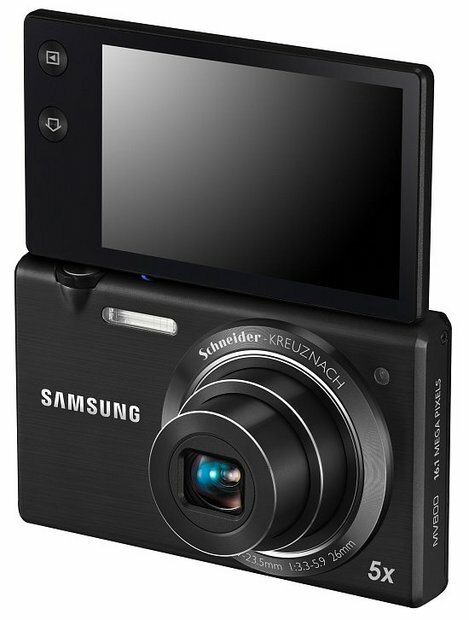 The Samsung MV800 is 16.1 megapixel digital compact camera that uniquely features a flip-out touchscreen display which makes it easier to capture self-portraits and extreme low or high angled shots. 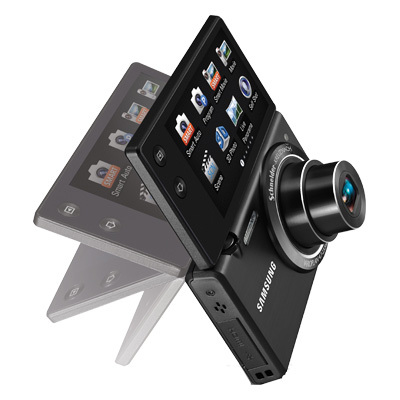 The Samsung MV800 is a light and slim camera. 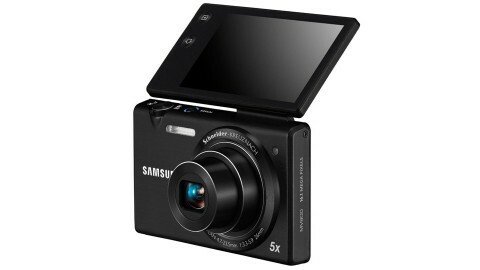 It measures just 2.2 by 3.6 by 0.7 inches and it is available in black, red or white. 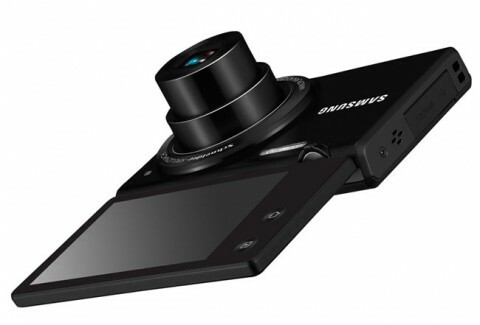 Samsung MV800 compact camera offers 5x optical zoom lens with 26 mm wide-angle setting and dual image stabilisation, 720p HD video recording at 30 fps, 3-inch touch-screen LCD and the intelligent SmartAuto feature which automatically adjust the camera’s setting. 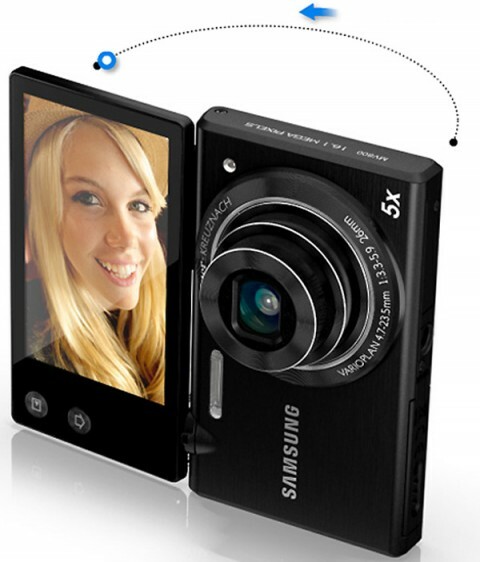 The expertreviews website notes that this Samsung’s camera is easy to be used and it is ideal camera for social media addicts. 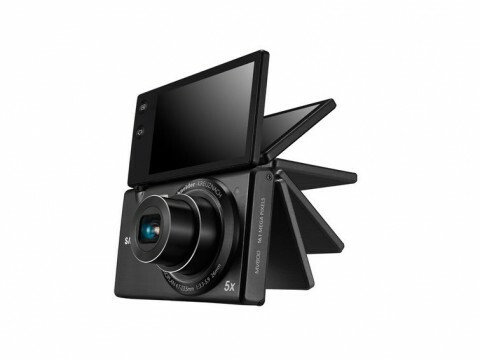 Even if MV800’s image and video quality is not very spectacular, it is enaugh to post picture to Facebook, for example. Picture quality is only a little better than from a good smartphone, but the 5x zoom lens gives it a distinct advantage over any phone-based camera. 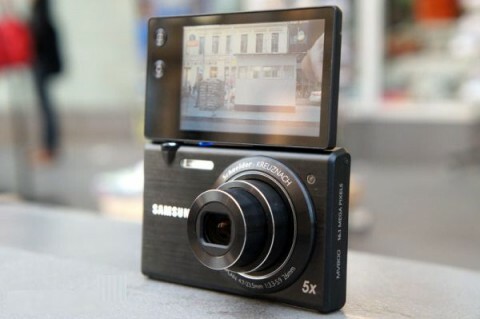 In his Samsung MV800 review, whatdigitalcamera.com says that this camera is a very sleek looking product and it is finished to a high standard. Another relevant feature is the touchscreen, which make the MV800 very easy to use. If you’re after a slim-line, nicely made and very easy to use compact, then the MV800 is definitely worth a look. 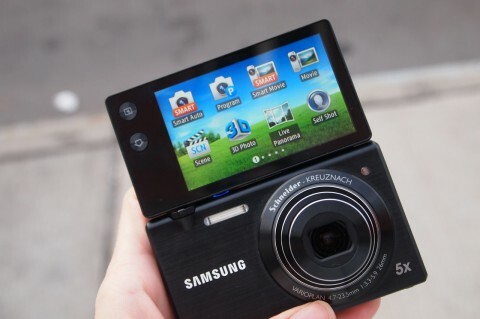 The touchscreen is one of the best we’ve used – it works to a similar standard to smartphone, rather than some of the clunky offerings we’ve seen in the past on some cameras, while there are a host of fun modes to keep you entertained when out with friends. 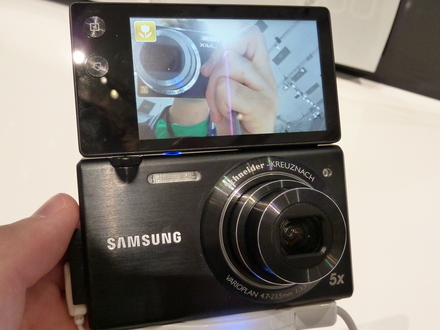 Samsung’s MV800 is a quirky and well-built compact camera. Although the flip out screen may be a little gimmicky, as it’s not something that you’ll be using all the time, its screen resolution makes it a pleasure to use as a ‘normal’ compact too. The touchscreen interface is a nice idea and the responsiveness is way beyond previous generation models. Sadly, it’s not ‘Smartphone standard’ and that’s what many potential customers will have come to anticipate, if not expect. 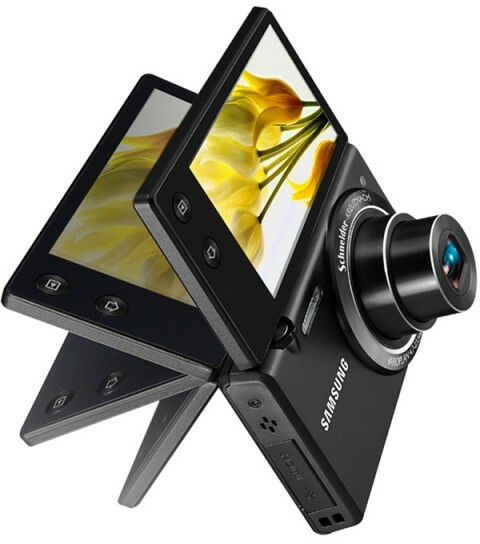 The techcrunch.com site insists on the software of Samsung MV800. 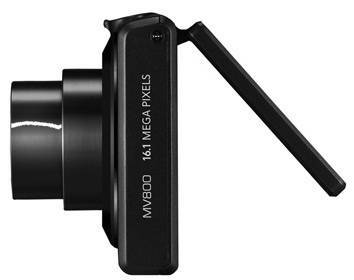 In his review the author says that MV800’s software capabilities are enough for a compact camera. 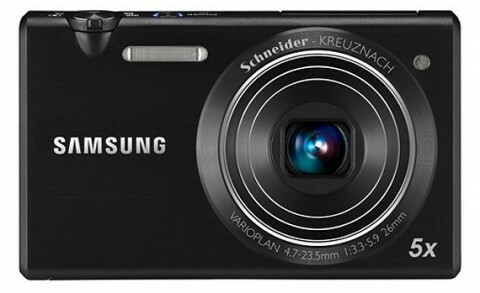 The Samsung MV800 isn’t the speediest camera on the market by any means. But then, it’s really not designed to be fast – it’s designed to be easy-to-use, flexible and fun. Measured solely by these three key credentials it scores well too. There are still some things we’d like to see in a future model – such as built-in Wi-Fi and direct social networking integration – but in most other ways the MV800 is step in the right direction that serves the needs of its target audience very well indeed.